Join Dr Ben Lacey to discuss digital archives from Adam Matthew that are available through NUIG Library. 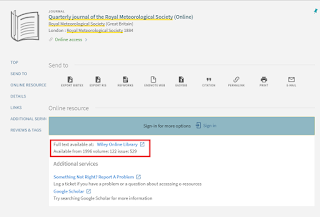 Problems Finding E-Journals or Articles? It's Not You, It's Us. Now that the start of term has commenced, the NUI Galway community will be back using the Library's resources. 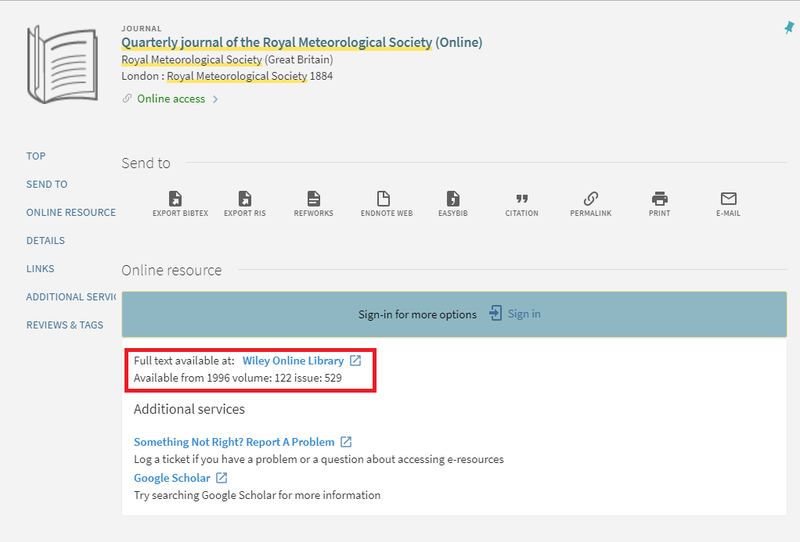 You'll have seen that we have a brand new search interface to search the Library Catalogue. The new search interface is full of intelligent features to help enhance your experience of the Library's collections. It's designed to find the right result quicker and more effectively for you. Unfortunately, it also has some teething problems. 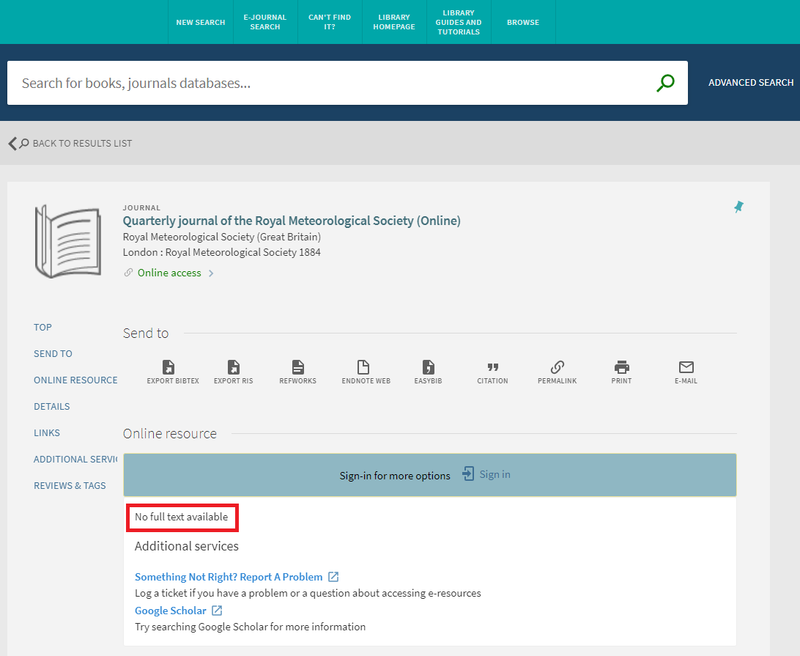 So it looks like we've no access to the journal you're looking for. This is down to an annoying, unpredictable bug in the software we use to power our search interface. We're sorry about this - it's annoying and frustrating, and we're fully aware of how messy it can make things for you. 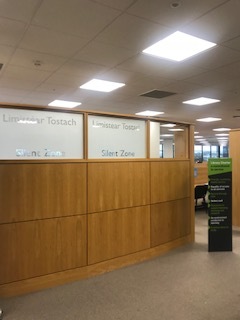 The Tech support people behind the search interface have been made aware of this, and we've made them fully aware also of the consequences of this bug on you, the NUI Galway user community. Again, we apologise for the inconsistent results you'll see until the bug has been fixed. 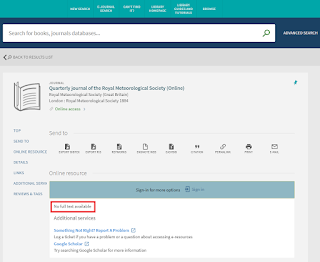 So until it's been fully fixed, if you find yourself looking at a screen for a journal that says no fulltext available, just press Ctrl+F5 a couple of times to refresh the menu. Once the bug has been fully fixed, we're certain you're going to find the seamless experience of the new user interface to be an enriching tool to use.